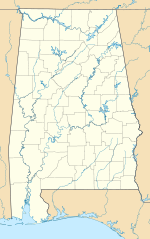 Butler–Choctaw County Airport (FAA LID: 09A) is a city-owned public-use airport located 5 nautical miles (9 km) northeast of the central business district of Butler, a city in Choctaw County, Alabama, United States. According to the FAA's National Plan of Integrated Airport Systems for 2009–2013, it is categorized as a general aviation facility. Butler–Choctaw County Airport covers an area of 80 acres (0.13 sq mi; 0.32 km2) which contains one runway designated 11/29 is 4,080 x 80 feet (1,244 x 24 meters) asphalt pavement. For the 12-month period ending March 27, 2000, the airport had 1,920 general aviation aircraft operations.